Global online-poker PokerStars is continuing its ongoing strategy of pulling out of so-called “grey market” international jurisdictions by announcing its departure from Israel. The move was announced to Stars’ Israeli customers over the weekend and was placed into effect on Monday, a rapid turn of events that left many of that country’s poker players surprised and dismayed. Nonetheless, the move reflects the ongoing trend of PokerStars’ parent company, Amaya Gaming, to exit from grey-market countries, as part of a larger global plan to strengthen its assertions of being only a white-market service provider. 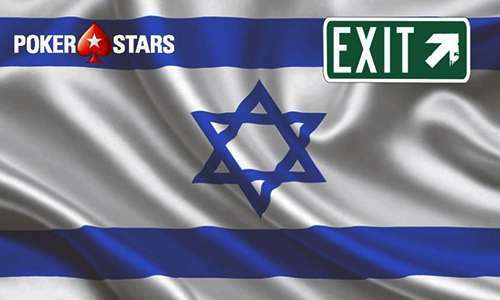 PokerStars becomes the latest of a large handful of companies to have pulled out of the Israel market in recent years. Israel, for its part, is a country that continues to have little or no regulations in effect regarding online poker or other forms of online gambling. Instead, the country has a rigid ban on most traditional forms of gambling and had generally just extended those definitions of said laws to cover the online-gambling sphere. Israel has, in the past, clamped down on operators who have advertised directly to or within Israel, along with short-circuiting a few previous attempts by firms to establish marketing outposts there. Israel still hosts a not-insubstantial number of SEO-marketing and affiliate firms which do not directly offer services to Israeli punters, but who instead offer support to other firms marketing gambling services around the globe. Our management team regularly review our operations market-by-market to assess commercial opportunities and business risks for our brands. Following a recent review, we regret to inform you that we have decided to stop offering real money games to players who are physically located in – or have a registered address in – Israel from June 27, 2016. We apologize for this inconvenience and hope you’ve enjoyed your experience – we invite you to continue playing with your existing account on our play money site here. Player balances remain safe and secure, and players are able to withdraw their real money balances at their convenience. You will be able to withdraw to your Visa card or WebMoney account providing you have used them to deposit within the last 12 months. If you have not, you will need to deposit with them before June 27 to be able to do so. The wire transfer option may also be available for withdrawals. Note that if you do deposit with WebMoney you will need to wait 48 hours from your last deposit before you are able to withdraw your funds. A full question and answer page has been provided for affected players. Any outstanding tournament tickets or T-money will be converted to cash. A $1 VIP Cash Rebate has been added to the VIP Store that can be purchased for 100 StarsCoin in order to facilitate players who would like to convert their StarsCoin to cash. Players who have made progress on their current VIP Step will receive the full prorated value of their current Step credited if the amount is 250 StarsCoin or more. Please allow up to 72 hours from June 27 in order for these credits and conversions to be made, and don’t hesitate to contact us if you have any questions.